It is legal! Let the world rejoice and know that weed is legal in Canada. All over Canada, you can now light up without fear of criminal charges, and in some places in Canada, you can buy it if you are eligible. It is legal, and you can use it now, but it is still a good idea to learn all you can about the new laws regarding marijuana. It is not exactly like cigarettes, you need to know the rules of air travel with marijuana. Remember the old saying “ignorance is not above the law.” If you get caught with weed in a place that is not as forward thinking as Canada, you could be in big trouble. 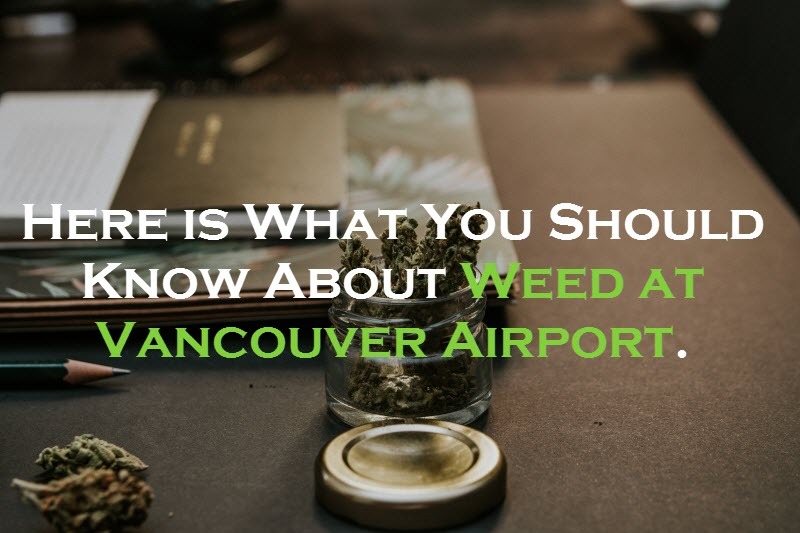 Here are some things to think about when you have weed at Vancouver Airport. You can smoke weed at Vancouver Airport now. Yes, that is true. You can now get to the airport, check in, hand over your luggage, go have a nice meal somewhere and then just before you have to go on to the plane, you can go to one of the clearly marked designated smoking or vaping areas and smoke up before your flight. Make sure you stick to those designated areas only, because as with any other tobacco product, you cannot just smoke anywhere in the building. This means before you fly, you can get high. Just be smart about it and all will be well. You can take pot on a plane.That is the short answer. You can take a legal amount of weed with you to your holiday destination as long as your holiday is somewhere in Canada. You can now go and share some of BC’s homegrown product with friends and family in Toronto. This is something that would have previously had an immense fine or even jail time. We no longer have to worry about any of it. Again, be smart about it. Do the research and make sure you do not exceed the legal amount of weed and make sure do not take it out of the country. Do not go beyond our borders. Recreational marijuana use has been made legal in Canada. Aside from a few states, the country of the United States is still not as lenient as Canada when it comes to weed. If you get caught with marijuana at an American airport, you will be in trouble, end of story. Also, bringing marijuana into Canada from another country is also illegal. So a good rule of thumb will be, do not go international with your weed. We are setting a trend and just have towait for the rest of the world to catch up. Same goes for Medical Marijuana. The international laws do not have tolerance for your medical marijuana either. So, if you have your medical marijuana card, it will not double as your “Get Out of Jail” card. That is some of what you need to know about Weed at Vancouver Airport. Educate yourself and talk to the professionals. And for quality cannabis, Pacific West Bud has what you need.